Shares of Ceat tanked 8% on the BSE after the tyre maker reported a 98.6% decline in its consolidated net profit at Rs 1.38 crore for the June quarter due to destocking by trade partners ahead of the GST rollout and higher expenses. The company had posted a net profit of Rs 103.26 crore during the corresponding period of the previous fiscal, Ceat said in a BSE filing. The stock dipped to Rs 1,749 in intraday trade, but was still over 100% up against its 52-week low of Rs 835, which it hit on August 23, 2016. The company's total expenses during the June quarter stood at Rs 1,636.13 crore as against Rs 1,516.23 in the year ago period. "Q1 was a challenging quarter for us in light of destocking by the channel partners due to the GST and peak RM prices which hit us at the same time," Ceat Managing Director Anand Goenka said. Total income during the period also declined to Rs 1,638.95 crore compared to Rs 1,651.83 crore in the corresponding quarter of last fiscal. 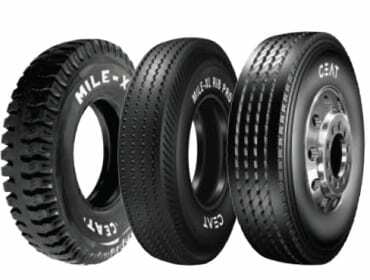 On the outlook, Goenka said: "Notwithstanding the short term impact of GST, we expect it to bring positive impact for the tyre industry in the long run."